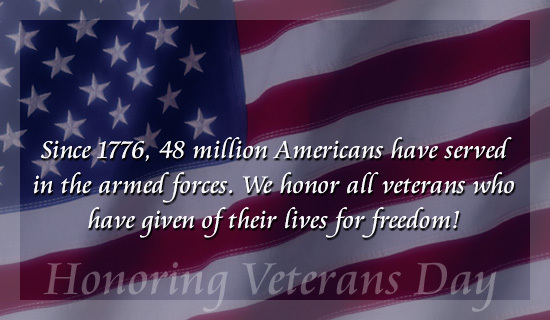 Veterans Day is an official United States holiday that honors people who have served in the U.S. Armed Forces, also known as veterans. It is a federal holiday observed on November 11 each year which coincides with other holidays such as Armistice Day and Remembrance Day, celebrated in other parts of the world and also mark the anniversary of the end of World War I (major hostilities of World War I were formally ended at the 11th hour of the 11th day of the 11th month of 1918, when the Armistice with Germany went into effect). The United States also originally observed Armistice Day; it then evolved into the current Veterans Day holiday in 1954.